The Elementary class go to the lighthouse!!! I had the great pleasure of driving the elementary class up to the lighthouse so they could see the sights. As you can see everyone was having a great afternoon. Welcome to all our new students, we hope you enjoyed your first day at school!!! It may be spring but in Byron Bay over the last month it has felt more like summer. The air temperature is a lovely 26 degrees and the water temperature is around 22. This week our BBELS only surf course started, students go surfing every day for 8 days. They are taught how to surf by Surfing Byron Bay. After 8 lessons everyone can stand up and catch a wave in. Now is the perfect time to learn to surf, as the water is warm and the waves aren’t crowded. 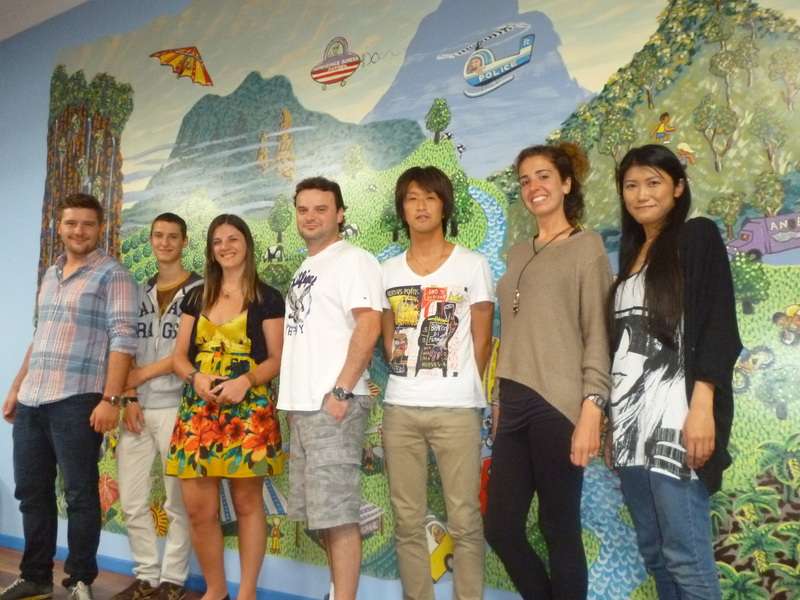 If you are interested in doing a surfing course please see Kyoko or Max. Good luck guys hope to see you hanging ten soon!!! We would like to welcome all our new Cambridge, IELTS and General English starters. We will be having a school party this Friday night at 7:30. Come along and make some new friends!!! Yesterday all our classes had their end of course exam. The school was very quiet and serious as nervous students did their exams. To celebrate today many classes are out and about in Byron Bay enjoying the warm weather. Upper-Intermediate had a breakfast BBQ at Wategos Beach – What a great way to start the day!!! Pre-Intermediate and Upper-Intermediate enjoyed a conversation class at the Beach Hotel. Elementary decided to do a cooking class at school. IELTS, as usual, were studying hard!